About a week after opening, sales are going strong at the first two businesses in Massachusetts allowed to sell recreational marijuana. The two stores sold more than $2.2 million worth of cannabis products during the first five days they were open for business, according to figures released Tuesday by the Cannabis Control Commission. New England Treatment Access (NETA) in Northampton and Cultivate in Leicester began operations Nov. 20, and combined, they sold $440,000 worth of cannabis that day. The busiest day was the day after Thanksgiving, when the stores reported nearly $480,000 in gross sales. The stores were closed for the holiday. “Every register is busy all the time, from when we open to when we close,” Norton Arbelaez, government operations director at NETA, told Marijuana Business Daily. 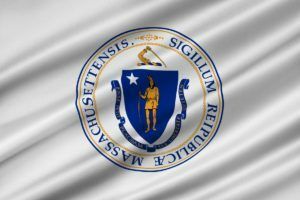 Since serving nearly 2,500 recreational customers the first day of rec sales in Massachusetts, NETA has reportedly been averaging 2,000 customers per day. Through Sunday morning, people started lining up at the NETA store at 6:30 a.m., which opens at 8 a.m. NETA closes the line at 7:30 p.m. and shuts the store at 10 p.m.
To ensure no one walks away empty-handed, Arbelaez said, NETA is limiting each person’s purchase to an eighth (3.5 grams) of flower, plus whatever edibles, oils and other products they’re allowed to buy under state limits. The biggest surprise in terms of sales is how many people are buying vape cartridges. “Almost every customer is buying one,” Arbelaez noted. Arbelaez sees some differences between the Massachusetts market and his home state of Colorado, where he operates RiverRock Cannabis, a recreational and medical cannabis chain. For one, New England’s density is a noticeable factor, and budtenders are seeing drivers’ licenses from New York, New Jersey, Connecticut, Vermont, New Hampshire and Rhode Island, Arbelaez reported. He added that employees are instructed to tell out-of-staters they can’t take product over state lines. 2019 will be a better year all around for rec consumers. These product limits and wait times are brutal. At what price do the stores sell the eight of flower or shake?